Ir Dr Lee is now Professor of Practice (Transportation) of the Department of Electrical Engineering of PolyU. He is an important figure in the development of the railway system in Hong Kong. He was formerly Senior Director – Capital Projects of the then Kowloon-Canton Railway Corporation and played a key role in introducing the electrified railway service in the early 1980s. 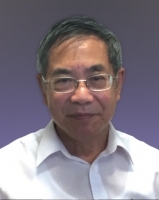 Dr Lee is a founding member of the local section of The Institution of Engineering and Technology Hong Kong and a Fellow of The Hong Kong Institution of Engineers.